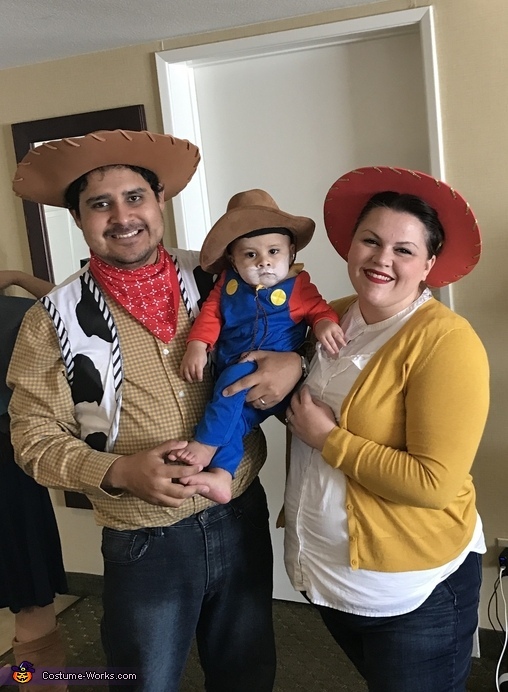 My one year old son, (Stinky Pete), my husband (Woody) and myself (Jessie) representing Woody's Roundup! Toy story 2 and 3 :) the idea came when I was watching Toy Story 2. I thought the costumes would be so easy and adorable. I used a Super Mario costume for Stinky Pete, bought my husband items that closely matched Woody, and I pieced mine together. We visited Mickey's Halloween Party in these costumes and had the best time!